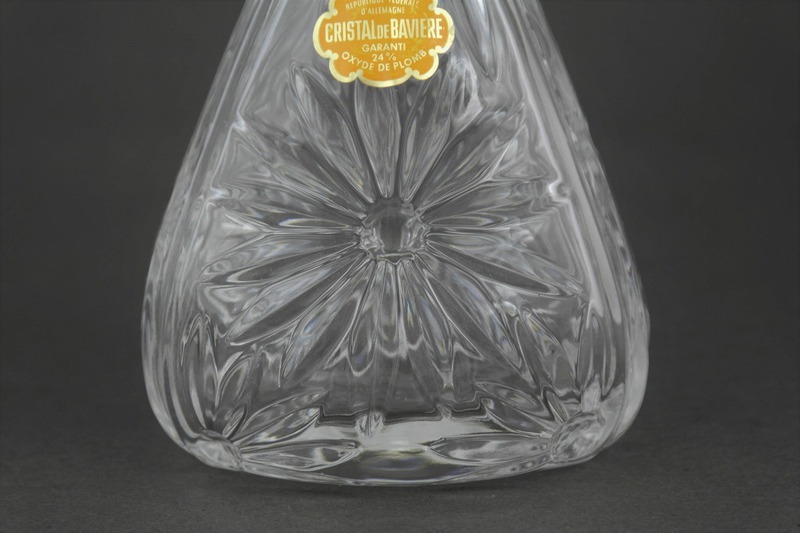 Vintage Bavarian Crystal Decanter. 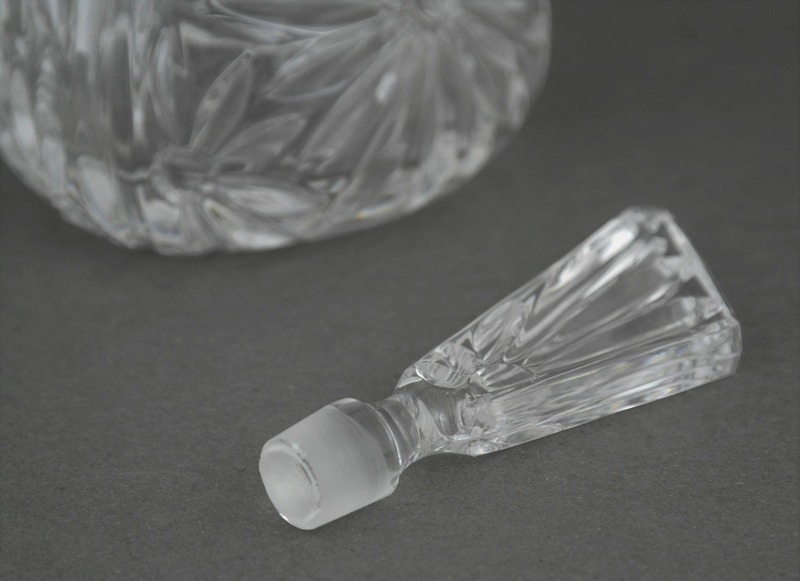 Cut Lead Crystal Liqueur Bottle. 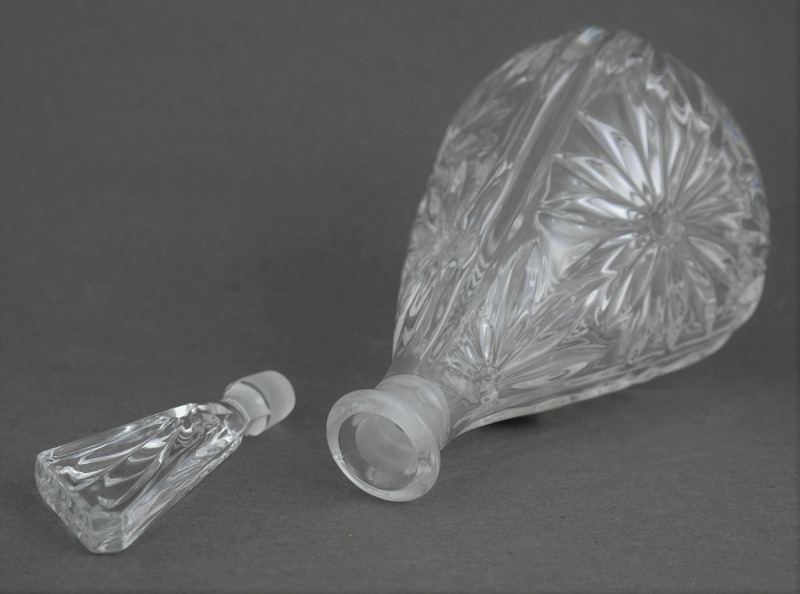 Perfume Bottle. 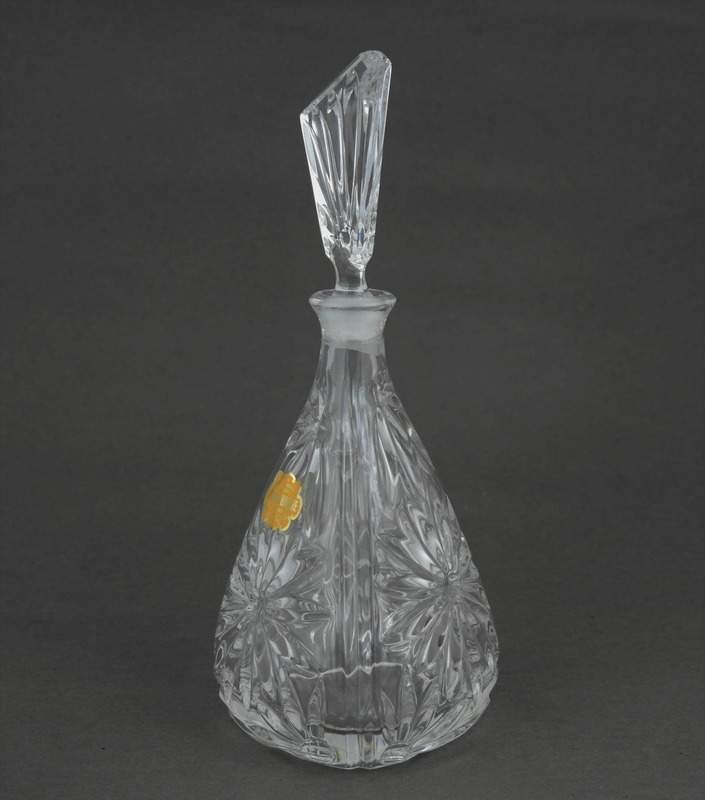 An elegant vintage Bavarian crystal decanter created in Germany. 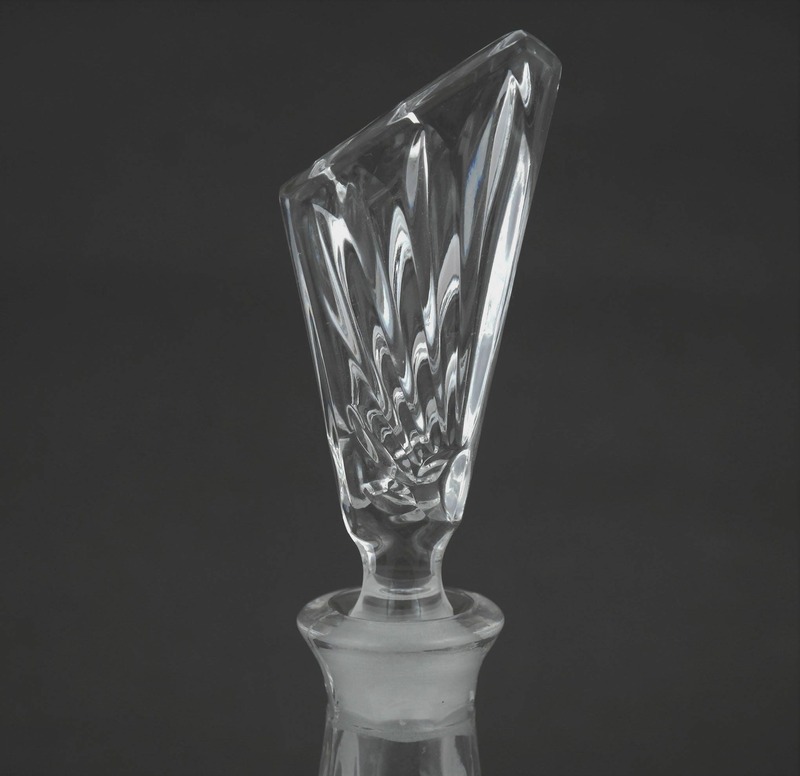 It has a classic form with an assymetric stopper. 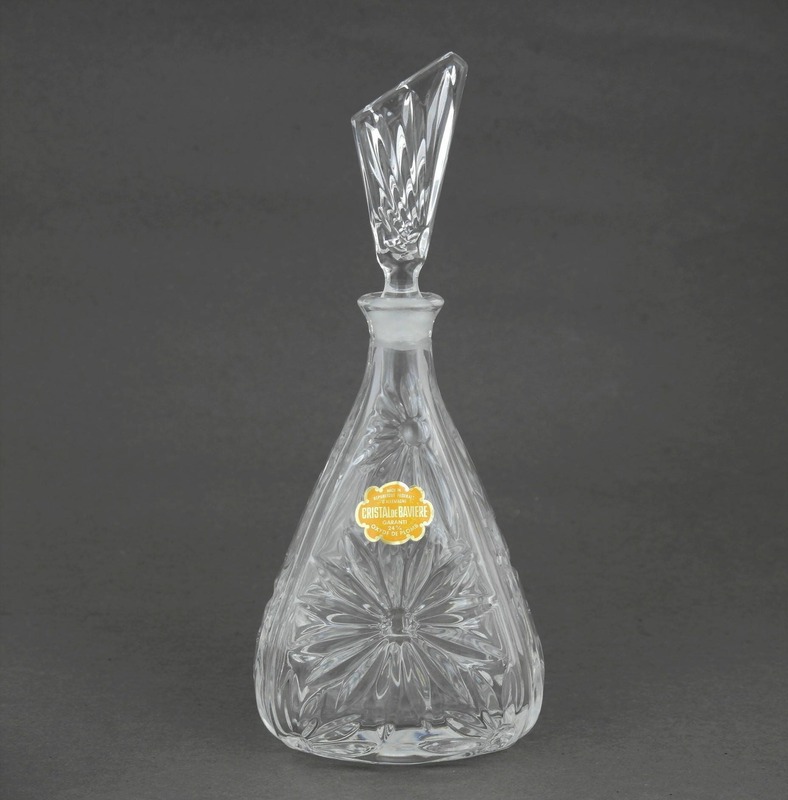 The bottle features a cut design of large daisy flowers on each of the three sides. 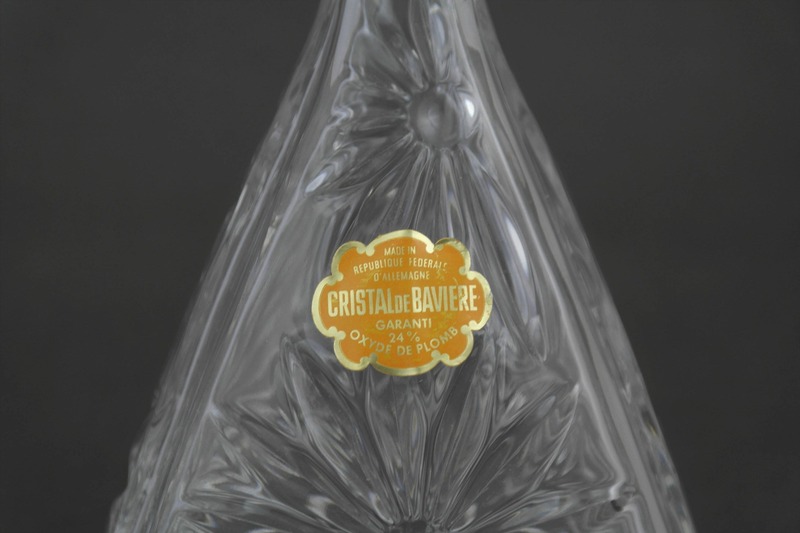 The decanter has an original manufacturer's label confirming it is German Bavarian crystal. 10" tall X 4" wide (25 cm x 10 cm). 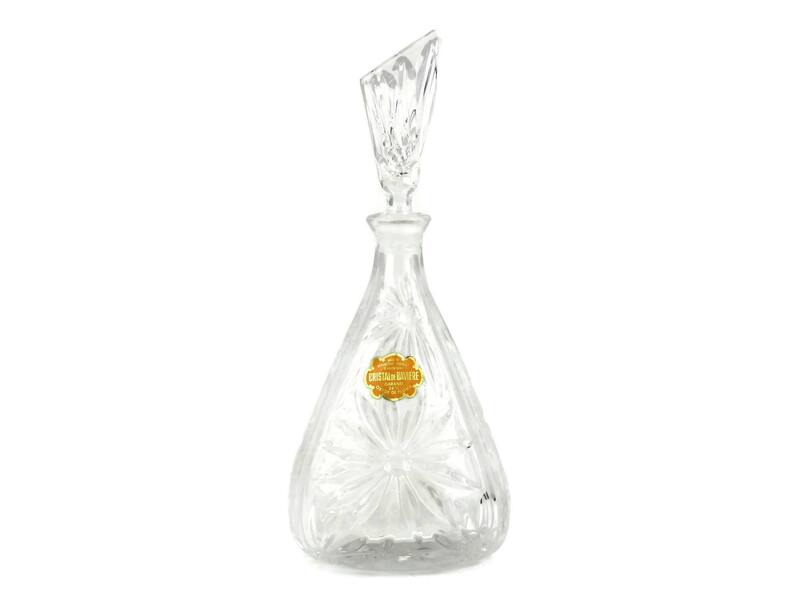 The crystal decanter is in very good condition. There are no chips or cracks. 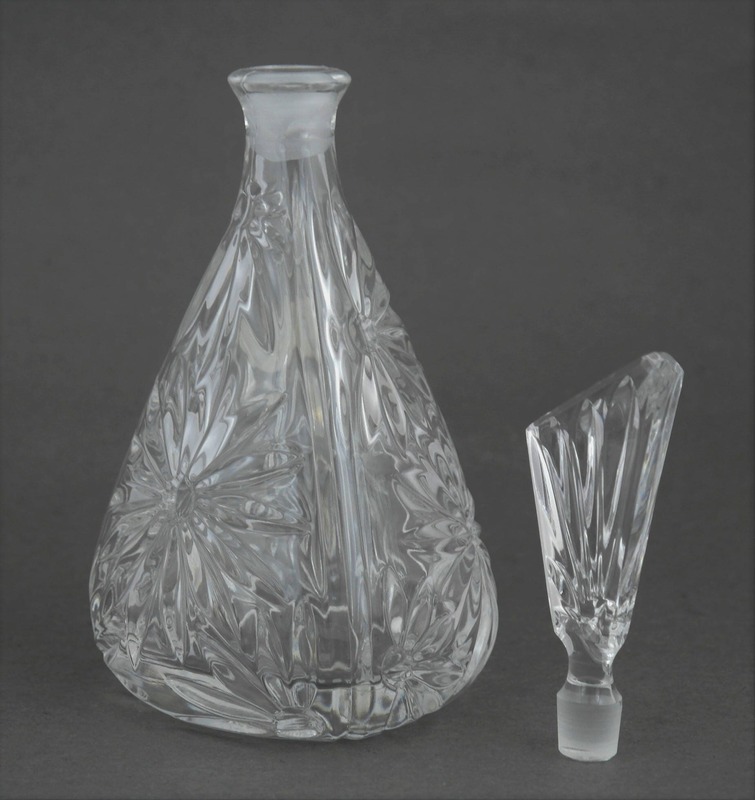 Item ref: Vintage Bavarian Crystal Decanter. 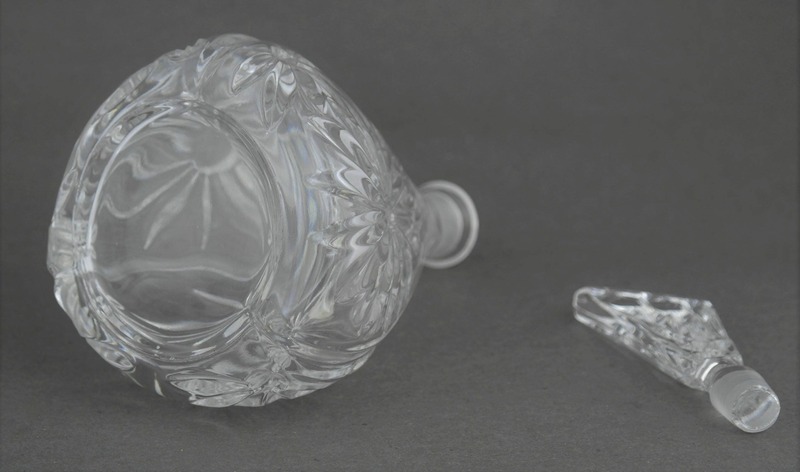 Cut Lead Crystal Liqueur Bottle. Perfume Bottle.